"Every Victim Has Their Own Name"
A famous lawyer from Lwow, born in 1862. Professor at the Lwow University and author of many books about jurisprudence which are still used today by students and lawyers in Poland. Before the war he was a member of the Supreme Court of Poland. Between 1941 and 1942 he was in the Lwow ghetto where he kept a diary. In August 1942, in the course of the "Great Action", he was deported to Belzec, together with his wife Salomea and grandson Jozek. All perished there. His Lwow ghetto diary was found later and his second grandson published it in Polish in 2003: Dr Leszek Allerhand: "Notes from the Other World". Wife of Prof. Maurycy Allerhand. Deported together with him to Belzec from the Lwow ghetto in August 1942. Grandson of Maurycy and Salomea Allerhand. Deported to Belzec together with his grandparents from the Lwow ghetto. A Jewess from Zolkiew who at the end of March 1942 was deported to Belzec but managed to escape. See Talenfeld. Famous mathematician, born in Tarnopol in 1901. Professor at Lwow university. Before the war he published many works about mathematics and geometry which were translated from Polish into French and German, and even today remain basic textbooks. He was in the Lwow ghetto from 1941, where he wrote his last work about geometry on the back of German documents. On 17 August 1942, during the "Great Action" in the Lwow ghetto he was deported to the Belzec death camp. His last work, written in the ghetto, was published in Polish in 1992. A dentist from Krakow. He arrived in the camp with the last transports from Krakow at the beginning of October 1942. When the transport reached the camp, he succeeded in somehow entering a latrine and found a hiding place in the pit. He stayed there for a few days. One night he was able to leave the pit, escaped, and returned to Krakow. His fate is unknown. Born in 1927. Son of Fela and Shimon Hirsh, deported together with his parents. Source: R. Kuwalek, A. Kopciowski. Born in 1905, "resettled" to Zamosc from the Warthegau. Sister-in-law of Szlamek Bajler, she was deported to Belzec together with Szlamek during the first "action" on 11 April 1942. Born in 1938. Daughter of Fela and Shimon Hirsh, deported together with her parents. Born in 1901. Brother of Szlamek and husband of Fela. Deported together with his wife and brother. Engineer Baldachim came from Rzeszow. He was a member of a group of Jewish prisoners who, guarded by Ukrainians, were allowed to work outside the death camp,. Radunkow met Baldachim several times. From him he learned many details about the death camp, including information about the killing method. Radunkow sent Baldachim's post cards to the Rzeszow ghetto where Baldachim's family still lived. According to Radunkow, Baldachim was killed in the course of the liquidation of the camp. Source: Main Commission of the Investigation of the Nazi Crimes in Poland. Born in 1925 in Gorlice. Deported from there in June 1942 to Belzec where she perished. Deported from the Lwow ghetto to Belzec in March 1942. Born in May 1924 in Zakopane (Poland). Daughter of Henrik and Rozalia Beck. Deported from Nowy-Targ (Poland) to Belzec, where she perished in September 1942. An architect who had graduated from the Polytechnic High School in München, he was born on 6 June 1886 in Bialystok. Before the war he was the leader of "Folkspartaj" (Jewish People's Party) in Lublin and a member of the Lublin City Council. From 1936 he was president of the Jewish Community Council, and during the war the first president of the Lublin Judenrat. Survivors from the Lublin ghetto remembered him as being very kind and helpful. Following the selection of Judenrat members, he was deported to Belzec together with his wife on 31 March 1942. He knew about the fate of the deportees. He went to the Umschlagplatz in Lublin, without suitcases and wearing his thalit (prayer shawl). Born on 12 December 1885 in Sokolow. Until 1938 he lived in Nürnberg. After the "Reichskristallnacht" he was resettled to Poland where he was deported to Belzec (together with his wife Sara) in 1942. Born on 18 April 1888 in Niewiadowka (Western Galicia). The wife of Lemel Berger. After the "Reichskristallnacht" she was resettled with her husband from Nürnberg to Poland. In 1942 she was deported to Belzec, together with her husband. A member of the "Death Brigade" July - December 1942. He escaped from the camp, survived the war, and immigrated to Israel. Szlamek didn't survive the first deportation from the Zamosc ghetto. Together with his sister he was deported to Belzec on 11 April 1942. The son of Szlamek's sister informed Ringelblum. Szlamek's report about Chelmno was published in Poland after the war. During the war it formed part of the secret reports about the death camps sent from Poland to London. Deported from the Lwow ghetto to Belzec, during the "Small Action" on 28 June 1942, when about 8,000 Lwow Jews were resettled from the ghetto to the Janowska camp and Belzec. Chawe Eichenbaum was born in 1902 in Tarnopol, Poland to Schmerl Eichenbaum and Schifre Silberman. Schmerl was a religious scholar. Chawe subsequently married Samuel Naftali Teichholz in Tarnopol and they lived in an apartment on Rynek Street. Since they had a religious ceremony for the wedding, it was not officially recognized by the Polish government. They had two children, Chaya born on 16 December 1923 and Malka born ca. 1933. Chawe was a housewife. On 8 - 9 November 1942 whilst the family was living in the Tarnopol ghetto, the Nazis began an "Aktion". Chawe’s husband and daughter, Malka, were shot and she was deported, presumably to Belzec. Her daughter Chaya survived by changing her name to Sonja Tarasowa, subsequently marrying JMA van der Horst. Chaya (Sonja) has four children and eight grandchildren. The Hebrew name of one grandchild, Anna, is "Chawe" after her great-grandmother. Please visit www.sonjavanderhorst.org for more information. Born in 1893. Deported from Przemysl ghetto to Belzec, at the beginning of the first "action", on 27 July 1942. A Czech Jew who once owned a bicycle warehouse. The family of a dentist from Lublin. They were deported to Belzec at Easter 1942. They lived in the same house as the family of Dr Teresa Buk-Szmigielska, at the border of the Lublin ghetto in the Old Town. They had a very close and friendly contact with this Polish family. When SS men kicked them out of their flat, Mrs. Fajersztajn said to the mother of Dr Buk-Szmigielska: "Farewell Mrs. Buk. We know that they are taking us to our death." Shortly after the war the mother of Dr Buk-Szmigielska met a survivor who told her that the Fajersztajn family was deported to Belzec. The family consisted of a father, mother and two daughters. Dr Buk-Szmigielska only remembers the family name. Born 1912. Lived in Strzyzow. Deported to Belzec and perished there in August 1942. Born 1882. Lived in Strzyzow. Perished in August 1942. Born 1910. Lived in Strzyzow. Perished in August 1942. The daughter of a famous advocate in Czortkow (Eastern Galicia). She was deported to Belzec from the Czortkow ghetto on 21 August 1942. Jewish painter and painting teacher in Lwow, graduated from the Academy of Art in Paris. She was deported from the Lwow ghetto to Belzec in March 1942. Source: Memoirs of Kazimiera Poraj, published in the Bulletin of the Jewish Historical Institute in Warsaw, 1966. A well-known butcher from Tarnow, deported together with son and daughter during the first deportation to Belzec on 11 June 1942. At the time of the deportation he was 72 years old. Felicia lived before the war at Asnyka 8, Lwow, with her parents Zygmund Glattstein and Leona Seligman Glattstein. Taken away from their parents room in the Ghetto during the Grand Aktion on 13 August 1942, with her brother Georg. .
Georg lived before the war at Asnyka 8, Lwow, with his parents Zygmund Glattstein and Leona Seligman Glattstein. "My maternal grandparents, Srul Goldbaum and Zysla (nee Frydman) from Lublin (Ulica Kowalska 12) and their younger daughter Sara Rebeka, were deported from the Lublin ghetto to Belzec in April 1942." Photo sent by Sophie Frankenberg. Marysia on the left, Zysla in the center, Sara Rebeka on the right. Source: Sophie Frankenberg, nee Mendelson. Deported together with his wife Zysla and their younger daughter Sara Rebeka from Lublin ghetto to Belzec in 1942. Photo sent by Sophie Frankenberg. A chef-de-cuisine who had been well known at the "Bruder Hanicka" restaurant in Karlsbad. The last rabbi in Gliniany (Eastern Galicia). He was deported to Belzec on 2 December 1942 from Gliniany ghetto. Probably perished in July 1942. Born in 1874. Lived in Strzyzow. Perished in July 1942. Born in 1899. Lived in Strzyzow. Perished in July 1942. Rabbi from Tarnow, deported to Belzec on 12 September 1942, during the second "action" in the Tarnow ghetto. Born on 28 August 1868 in Krakow and domiciled there until 1941. Second wife of Henryk Hersz Gumplowicz, father of Anna Rozalia Imich and Matylda Schneider. Deported to Belzec from Wieliczka on 26 August 1942. Information supplied by Jan Imich - April 2003. Deported together with her mother from Zolkiew to Belzec on 20 March 1942. She was the first woman who entered the gas chamber, supporting her mother. Source: Gerszon Taffet: Zaglada Zydow zolkiewskich. Lodz 1946. Born on 22 February 1900. Lived in Strzyzow. Perished in December 1942. Born 18 October 1927. Lived in Strzyzow. Perished in December 1942. Born on 25 July 1930. Lived in Strzyzow. Perished in December 1942. Born in 1895. Lived in Strzyzow. Perished in December 1942. Member of the Lublin Judenrat. In contrast to some Judenrat members he did not believe the real meaning of the deportations. He was deported to Belzec on 30 March 1942 after the selection of the Judenrat. Born 1910. Lived in Strzyzow. Perished in June 1942. Born in 1888. Lived in Strzyzow. Perished in June 1942. Born in 1899. Lived in Strzyzow. Perished in June 1942. Born in 1883. Lived in Strzyzow. Perished in June 1942. Born in 1900. Lived in Strzyzow. Perished in June 1942. Born in 1897. Lived in Strzyzow. Perished in June 1942. Born on 7 October 1881 in Kitzingen (Bavaria / Germany). On 24 March 1942 she was member of the transport from Würzburg and Nürnberg to the transit ghetto in Izbica (Lublin district). From Izbica she was deported to Belzec in 1942. Aharon, an extremely learned man, taught Jewish Bible studies at the secular school in Zaklikow, and served as secretary for the Zaklikow municipal council. He was highly respected in both the Jewish and non-Jewish community in Zaklikow. He was an ordained rabbi, although he never practiced as such. Deported to Belzec together with his wife Reyz and their children Yakov, Yechaskel, and Brajndl in the transport from Zaklikow on 3 November 1942. Born in Belzec. During the war he lived in Belzec under the name Jerzy Ligowskihe. He worked at Natyna's bakery, and was informed about the camp to which he delivered bread from the bakery. In summer 1942 he discovered that his mother, sister Salomea Beer, together with her daughter Bracha-Bronia had arrived in Belzec, deported from the Lwow ghetto. He smuggled Bracha-Bronia from the camp to the village. Moszko was shot in Belzec in 1942. Father and son (their first names are not known), deported from Krakow to Belzec. Members of the camp's Sonderkommando. Both were privileged and probable functionary prisoners. Because they were allowed to leave the camp they had contact with the villagers and told them about the extermination process. The father died a natural death in the camp and on account of his privileged position, SS-men organized a normal funeral. As described by his son, the father was the only prisoner who was buried in a coffin. After the liquidation of the camp, young Herc was deported to Sobibor. He managed to escape from the transport and returned to Belzec, where he met some Poles. He told them that he would try to reach Krakow where his wife and children were in hiding. His fate, and whether he survived the Holocaust, is unknown. Source: Statement of Mieczyslaw Kudyba and Edward Luczynski , at the Belzec investigation commission 1945 / 46. Kept at the Institute of National Remembrance in Warsaw. Born in 1869 in Zamosc. His well-known family was the owner of the printing office in Zamosc. Deported to Belzec in 1942. Source: Testimony by Jekutiel Cwilich, survivor from the Zamosc ghetto. Head of the Judenrat in Borszczow (Eastern Galicia). According to the testimonies of Borszczow ghetto survivors he was a real leader of the Jewish community. He always tried to help the Jews in the ghetto, and cleansed the Judenrat of corrupt practices. He was proud and dignified in his dealings with the Germans. Because of his courageous behaviour, Jewish informers denounced him to the Gestapo. He was arrested and finally deported to Belzec on 22 July 1942. Born in Gliniany. During the war she lived with her family in the Przemyslany ghetto (Eastern Galicia) from where she was deported to Belzec on 12 April 1942. Her husband and sons were shot in Przemyslany. From Janow Lubelski. He escaped from the last train to leave Belzec, after the camp was dismantled. En route to Sobibor, Hirszman and two other prisoners (one called Herc) decided to escape from the train by removing a plank from the car's floor. He jumped first, the other two were to jump after him. He succeeded in escaping and later joined the partisans. He survived the war, but was killed in 1946 by Polish anti-Semites. She was born in 1922. Perished in July 1942. A well-known Jewish publicist and writer from Lwow. From June 1941 he lived in the Zloczow ghetto (Eastern Galicia) where he wrote many texts, e.g. about his experiences in the war. He was deported from Zloczow to Belzec during the "action" on 2 and 3 November 1942. His friends, who stayed in the ghetto, collected his works but all material was lost after the final liquidation of the ghetto. Born on 24 December 1895 in Krakow. Domiciled there until 1941. Deported to Belzec from Wieliczka on 26 August 1942 together with her sister Matylda Schneider, stepmother Taube Gumplowicz and other members of the Gumplowicz family. A young physician from somewhere near Przemysl. Born in 1876. Literary critic and journalist. Before the war he was president of the Union of Polish Writers in Lwow. He was totally assimilated in Polish culture and even today he is better known to Poles than to Jews. Many Poles have simply forgotten that he was Jewish. In pre-war Lwow he was a very famous person, particularly because of his sense of humour. From 1941 he lived in the Lwow ghetto. In 1942 he was deported to Belzec, where he perished. An old man from Zamosc. Arrested by the SS together with Czech Jews while he was waiting for soup at the people's kitchen in the Zamosc ghetto. Deported to Belzec in 1942. Source: Testimony by Jekutiel Cwilich, a survivor of the Zamosc ghetto. Deported to Belzec in July 1942. Born in 1937. Lived in Strzyzow. Perished in June 1942. Born in 1936. Lived in Strzyzow. Perished in June 1942. Born in 1890. Lived in Strzyzow. Perished in June 1942. Born in 1892. Lived in Strzyzow. Perished in June 1942. Born in 1938. Lived in Strzyzow. Perished in June 1942. Jewish woman from Radom. She was among the Jewish women who worked in the death camp. Some Poles from Belzec village had contact with her because she was allowed to leave the camp for work at the Commandant’s office, which was situated outside of the camp boundaries. She told the Poles details about the gas chambers and extermination process. It is not exactly known when and from where she was deported to Belzec. She was killed in the course of the liquidation of the camp. Source: Statement of Edward Luczynski and Tadeusz Misiewicz, at the Belzec investigation commission 1945 / 46. The daughter of Malcia Lische (née Saleschütz) perished in July 1942. She held a doctorate in history, having graduating from Warsaw University. She published historical works about the Jews of Lublin. Before the war she was teacher in the town. Deported together with her whole family in March 1942. A Jewish girl who worked together with two other Jewish girls in the SS bakery which was located in the village of Belzec. She was not allowed to speak and had to sleep in the bakery itself or in a nearby hut. 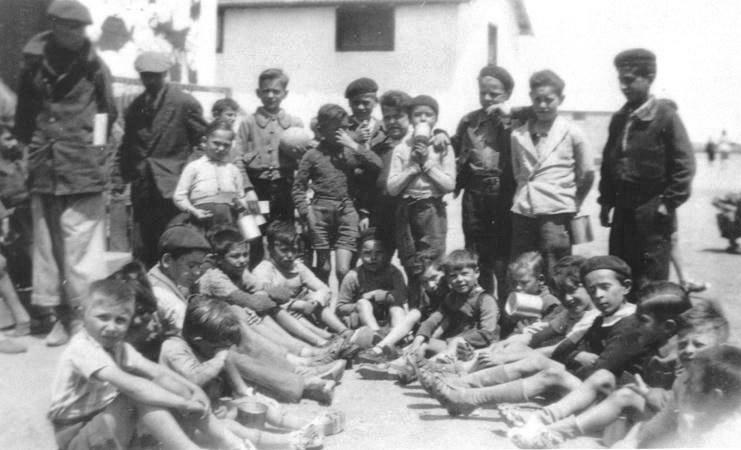 The bakery supplied the camp with 1,000 loaves a day, taken to the camp by horse and cart. The building was guarded by a Ukrainian at the gate. One day she was taken away (together with her two Jewish girl friends) and shot by the SS when the camp was closed down. A Jewish girl who worked together with two other Jewish girls in the SS bakery which was located in the village of Belzec. She was not allowed to speak and had to sleep in the bakery itself or a nearby hut. Deported from the Tarnow ghetto during the second "action" on 12 September 1942. Rudolf Reder mentioned a Jewish prisoner from the Sonderkommando. His first name was Moniek, a coach driver from Krakow. In the death camp he supervised the motor room in which the gas was produced. "After loading the gas chambers, all doors were closed hermetically. The outer doors were wedged hermetically, and then the motor started. The motor ran exactly 20 minutes. Then Moniek gave the signal and one of the operators stopped the motor. Afterwards, on Moniek’s command, the prisoners opened all doors and teams consisting of two persons each pulled the corpses out from the gas chambers. Two belts were wound around the wrists of the corpses, then the prisoners dragged them to the mass graves." Born in Vienna in 1892 and deported from there to Terezin (Theresienstadt) on 17 December 1941 on "Transport N". From there he was transported on "Transport Ag" to the transit ghetto Piaski, near Lublin on 1 April 1942. Max Munk would have been one of the early victims of Belzec. Born on 30 May 1905. Lived in Strzyzow. Perished in December 1942. Born on 16 March 1870. Lived in Strzyzow. Perished in December 1942. Part of a family from Krasnik, near Lublin. The wife of Abraham Olender, together with his two children, was deported to Belzec on 12 April 1942, during the first "action" in the Krasnik ghetto. Abraham Olender survived the war, together with one son. They were imprisoned in the Budzyn work camp (now Krasnik). A tailor. Transported to Belzec on 3 November 1942 from Zaklikow. Lawyer, born in 1891. Deported from the Przemysl ghetto to Belzec at the beginning of the first "action", on 27 July 1942. Student, born in 1920. Deported from the Przemysl ghetto to Belzec at the beginning of the first "action", on 27 July 1942. A chemist employed in the soap industry. He was born in Lwow on 4 April 1881. Deported to Belzec on 16 August 1942. He lived with 500 Jewish workers in one of the two barracks reserved for the Sonderkommando. He worked at digging mass graves, and cleaning out the gas chambers. At the end of November 1942, he was ordered to Lwow in order to collect sheet metal. His sole guard fell asleep and he was able to escape into Legionow Street as it grew dark. His book "BELZEC" is the only comprehensive survivor testimony. An artist from Krosna. He perished in 1942. Well known pianist from Lwow. Deported from the Lwow ghetto to Belzec in March 1942. Part of a family from Krasnik. 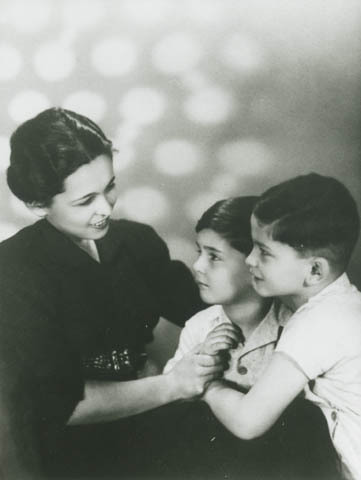 The wife of Nuchim Rozenel, together with his three children, was deported to Belzec during the first "action" in the Krasnik ghetto, on 12 April 1942. He survived the war, imprisoned in Budzyn work camp (now Krasnik). He escaped from Budzyn during the evacuation of the camp in July 1944. Born in 1939. Lived in Strzyzow. Perished in June 1942. Born on 19 March 1897. Lived in Strzyzow. Perished in June 1942. Born in 1894. Lived in Strzyzow. Perished in June 1942. She perished in July 1942. He perished in July 1942. Born in 1924. He was a student at the Jewish Gimnazjum in 1939. "On a sunny morning in the ghetto, I suddenly encounter someone, Josef Sand, whom I have not seen for years. He adds some information that is so incredible I do not mention it to anyone in the ghetto, so as not to be considered certifiably crazy. Sand tells me that he ran away from Belzec. I have no clear idea how he escaped. He had been taken there as a member of a small group separated from the one thousand taken to the Janowska camp. In Belzec, he claimed, he had helped to build showers through which poisonous gas could be piped in for the trapped Jews; the showers kill thousands each day. He swears to me that he is telling the truth, but it is impossible to believe what I hear. He looks normal to me, and yet his story is incredible. I ask him what he intends to do now. To leave the ghetto as soon as possible, he says; he just came to find out about his family. I never see him or hear about him again." Born in 1902. Lived in Strzyzow. Perished in June 1942. Born on 2 August 1900 in Krakow. Domiciled there until 1941. Deported to Belzec from Wieliczka on 26 August 1942 together with her sister Anna Rozalia Imich, stepmother Taube Gumplowicz and other members of the Gumplowicz family. A Jewish carpenter from the Lwow ghetto. Deported to Belzec in March 1942. He sent a letter to his son Henryk from Belzec station, informing him that he is now in Belzec. A Jew from the Sudetenland, a former lawyer. He worked in the camp office. His fate is unknown, but it is unlikely that he survived. Hassidic rabbi from Lwow, a famous religious scholar; member of Religious Affair Department in the Lwow ghetto. He was deported to Belzec in March 1942 although he had a special ID card stating that he worked for the Judenrat administration. The official reason for his deportation: Schreiber was too religious and he looked like a typical Orthodox Jew (during the March "action" in Lwow most of the victims were traditional looking Jews). Deported from Zolkiev near Lwow during the first "action" on 20 March 1942. When an SS-man in the camp informed him that they would be sent to their death, he said good bye to his wife in public. The whole transport began to cry before the gas chambers. This story was told in Zolkiev after Mina Astman's and Malka Thalenfeld's escape from Belzec. Daughter-in-law of Regina and Natan Siegfried. Born in 1910. Married to David Siegfried. He survived the war in Siberia, USSR. He later immigrated to the United States, living in Brooklyn, New York. In 1970, he immigrated to Israel where he died in 1974. Daughter of Regina and Natan Siegfried. Born in 1920, unmarried. Daughter of Regina and Natan Siegfried. Born in 1907, married to Efram Schwinger. Child: Mundziu (age 5 years). Efram Schwinger survived the war in Siberia, USSR. He later immigrated to the United States. Born in Radomysl Wielki. An economist who graduated from the universities in Wien and Köln. Before the war he was a representative of the Lublin Trade Company. During the war he was a member of the Judenrat, responsible for health affairs. He also cooperated with the Jüdische Soziale Selbsthilfe. Deported to Belzec in April 1942. Son of Regina and Natan Siegfried. Born in 1903. Married. Daughter-in-law of Regina and Natan Siegfried. Born in 1911. Married to Benjamin Siegfried. Child: Gretusia (age 5 years). Benjamin Siegfried (tattoo # 161716), assumed his mother's maiden name during the war and was thereafter known as Benjamin Ressler. He survived by jumping off of the train that was transporting members of the family to their death at Belzec. He was liberated from KZ Ebensee, a sub-work camp of KZ Mauthausen in Austria, following his internment in nine different concentration camps. He immigrated to the United States where he remarried and fathered three children. He lived in Brooklyn, New York until his death in 1978. Natan (age 65) and Regina Ressler-Siegfried (age 63) were the parents of nine children. They lived at 10 Kazimierza Wielkiego, Jaslo (Poland). At Belzec they were annihilated along with other members of their family that included: two sons, two daughters, three daughters-in-law and three grandchildren. Fishel ("Phil") Siegfried, their eldest son, had immigrated to the United States around 1930. Emanuel Siegfried survived the war and is now living in Staten Island, New York He is married and has 2 sons. Bertha Siegfried-Presser also survived the war and is living with her son in Los Angeles. Regina Siegfried née Ressler (age 63) and her husband Natan Siegfried (age 65) were the parents of nine children. They lived at 10 Kazimierza Wielkiego, Jaslo (Poland). At Belzec they were annihilated along with other members of their family that included: two sons, two daughters, three daughters-in-law and three grandchildren. Fishel ("Phil") Siegfried, their eldest son, had immigrated to the United States around 1930. Son of Regina and Natan Siegfried. Born in 1910, married to Rachela Kaplan. Child: Chial (age 5 years). Lawyer and violinist from Lwow. Deported from the Lwow ghetto to Belzec during the "Big Action" in August 1942, together with 50,000 other Lwow Jews. Source: the memoirs of Kazimiera Poraj. Young Jewish woman from Zamosc. She was deported to Belzec and selected on the ramp for work in the camp laundry. She was killed during the liquidation of the camp. Martha (née Drucker), born in Korycany on 14 May 1904. Otto, born in Strazow Na Sumave on 22 March 1897. They met in Zlin (Moravia) in 1924. After WW1 they moved to Wien where Otto went into business with a cousin, selling down for duvets. In Vienna two children were born: Harry in 1925 and Robert in 1929. In 1934 the family moved from Vienna to Klatovy (Czechoslovakia), then to Pilsen and Prague in April / May 1939. Both children came to England as part of the Kinder Transport from Prague in 1939, organized by Sir Nicholas Winton. From Prague Martha and Otto were taken to Terezin during February 1942, and were deported east in the middle of March 1942 on "Transport AB" to the Izbica Transit Camp. They were in all probability transported to Belzec, where they perished. Information and photo supplied by Harry Stadler. Famous co-painter of "Raclawice's Panorama" (the painting depicts the battle of Raclawice, fought in April 1794 between Russian troops and a Polish peasant army defending Polish independence. The Poles won the battle, but lost the war.) Before WW2 it was exhibited in Lwow; today it is displayed in Wroclaw. He was deported from the Lwow ghetto to Belzec in March 1942. Source: Memoirs of Kazimiera Poraj. We know only her first name, as told by Mr. Jacek Ossowski from Lublin. A 12-13 years old girl from the Lublin ghetto, the girlfriend of Mr. Ossowski. He observed that she and her parents were added to the column of people who were deported to Belzec in March-April 1942. Mr. Ossowski witnessed the selection of the Jews on Grodzka street in the Lublin ghetto. Born in 1886 in Zamosc. He was a well known tailor in Zamosc, a member of and activist in the Zionist Organisation and vice-president of the Zamosc Judenrat. Before the war he was a member of the City Council and the Jewish Community Council. In October 1942 he was deported together with other Zamosc Jews to Izbica, and in early November 1942 from Izbica to Belzec. Source: R. Kuwalek and A. Kopciowski. She was born in 1890. Wife of Azriel. She was the daughter of Azriel and Pesa Tauba Szeps, deported together with her parents. He was the son of Azriel and Pesa Tauba Szeps, deported together with his parents. Born in 1890 in Zamosc. Deported from Zamosc to Belzec together with her husband Icek Dawid in 1942. Source: Testimony by Jekutiel Cwilich, survivor of the Zamosc ghetto. Merchant in Zamosc, born there. Deported from Zamosc to Belzec together with his wife Frajda in 1942. Podgorski, a survivor from the Lublin ghetto, stated that he met Mr. Szmirer, a 21 year old man, somewhere on a ghetto street during the liquidation of the ghetto in March / April 1942. Szmirer was the son of a famous furniture merchant from Lublin. He was deported to Belzec during the "action" in March 1942. Hidden under the clothes of the gassed victims, Szmirer escaped from Belzec in the Belzec - Lublin freight train. Back in Lublin, he informed the members of Lublin's Judenrat about what he had witnessed. Not many Jews in the ghetto believed him. He probably didn't survive the war and may have been killed during the final liquidation of the Lublin ghetto on 9 November 1942. Source: Institute for National Remembrance in Warsaw. Trial (Wiesbaden 1972) against Hermann Worthoff, SD-officer in Lublin who was responsible for the liquidation of the Lublin ghetto. "In closed wagons they were brought into Belzec camp. They were ordered to undress. The people became scared. One of them asked an SS-man who was close to them: "What's the reason we should undress?" Afterwards the women were ordered to enter a barrack. Exploiting the disorder, noise and lack of experience of the SS-man, Astman and Talenfeld jumped into a nearby ditch and sat there undiscovered until dark. Under cover of darkness, they escaped from the camp, and after a few days, returned home. A member of the "Death Brigade" during July - December 1942. He escaped from the camp, survived the war and immigrated to Israel. Lawyer from Lwow. Deported from the Lwow ghetto to Belzec in March 1942. Hassidic rabbi from Turobin. During the war he was in the Krasnik ghetto together with his son and son's family. In October 1942, during the second "action" in the Krasnik ghetto they were deported to Zaklikow, which was the main assembling ghetto for the Jews from Krasnik county during the final liquidation of the ghettos. From there he was deported to Belzec, together with his family. Born on 1 August 1898. Activist of the Zionist Organisation in Lublin, member of the Jewish Community Council and was involved with Hebrew schools there. During the war he was a member of the Judenrat. Together with his whole family he was selected and deported to Belzec on 31 March 1942. His sister survived the Holocaust because immigrated to Israel in 1937. She was killed together with her daughter Shaindel (left) in July 1942. He was the husband of Bluma Saleschütz. Perished in July 1942. Electrical engineer, born in 1897. Deported from the Przemysl ghetto to Belzec, at the beginning of the first "action", on 27 July 1942. School teacher, born in 1903. Deported from the Przemysl ghetto to Belzec, at the beginning of the first "action", on 27 July 1942. Jeweller, born in 1865. Deported from the Przemysl ghetto to Belzec, at the beginning of the first "action", on 27 July 1942. Born 1934. Deported from Przemysl to Belzec on 27 July 1942. "I remember how poor Ludwik cried when the ghetto was sealed that he didn’t want to be a Jew and that he wanted to leave the ghetto!..." A letter from Klara Pfeffer to Wiktor Reisner. He lived in the Debica ghetto (Krakow district). Deported from Debica to Belzec during the last deportation from this town on 15 November 1942. He knew about the destination of the transport and organized a common prayer in the cattle car. Born on 4 November 1889 in Lublin. Owner of big hardware stores in Lublin. Deported to Belzec in March 1942. Born 1927 in Wloclawek. Son of Szmul and Zera, brother of Rojza. "Resettled" to Zamosc in 1940. In the course of the first deportation he was sent to Belzec on 11 April 1942, together with his mother and sister. Lejb escaped and returned to the Zamosc ghetto. There he told the Judenrat in Zamosc about the death camp and what happened to the Jews from Zamosc. In August 1942 he was deported to Belzec again, together with his father Szmul. Both finally perished in Belzec. Born 1921. Daughter of Szmul and Zera, sister of Lejb. Born in 1890. Father of Lejb and Rojza. "Resettled" to Zamosc in 1940 together with his family. Member of the Jüdische Soziale Selbsthilfe in the Zamosc ghetto. Sent to Belzec in the second deportation in August 1942, where he perished together with his son Lejb. Born in 1892. Mother of Lejb and Rojza. She perished in August 1942. Born in 1920 in Lwow. Daughter of Rachel and Shlomo Zloczower. She perished in Belzec, together with her parents and sister Rena. Born in 1900 in Lwow. Son of Selig and Perl Zloczower. A tailor. Brother of Shlomo and Pepi Zloczower. He perished in Belzec in 1942. Born in 1924 in Lwow. Daughter of Rachel and Shlomo Zloczower. She perished in Belzec, together with her parents and sister Chana in 1942. Born in 1890 in Lwow. A tailor. He married Rachel. Shlomo perished in Belzec together with his family in 1942. Arad, Yitzhak. "Belzec, Sobibor, Treblinka: Operation Reinhard Death Camps", Bloomington: Indiana University Press, 1987.